Over 300,000 fans come out to watch a Syracuse Mets game each season. Shouldn't you? Come experience the excitement of a group outing! It only takes 15 or more people to take advantage of all the benefits of Syracuse Mets Group Tickets. Have fun with your closest family and friends, reward your faithful employees, entertain new clients, or celebrate your team's victory with a night out at NBT Bank Stadium! Historic NBT Bank Stadium offers the most unique group experiences in Central New York! Big or small, from being in a luxurious suite to Partying on the Jim Beam Party Deck, and everything in-between, all groups are welcomed! 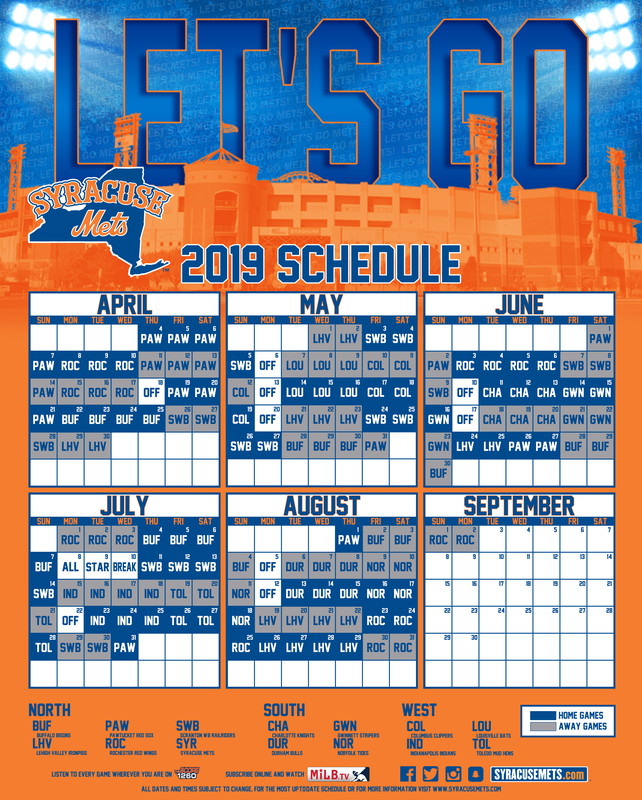 Celebrate Your Birthday with the Mets! Take the field with your Little Leauge Team at NBT Bank Stadium for our field of dreams! Preform in-front of thousands of Syracuse Mets fans during our pre-game celebration! All this and more for our Youth Experiences! NBT Bank Stadium is home to premier locations for hosting enjoyable and memorable parties. We have various locations and space to fit your desired party size! Each Peppino's Picnic Terrace & Party Patio is exclusive to only your group and is fully catered by our food service partner Spectra Food Services & Hospitality. The Hank Sauer Room is available to rent year-round and is the perfect place for your next function. With a full cocktail bar, large screen TV's and décor rich in baseball history, your guest won't soon forget thier night at the ballpark, Seating options include indoor restaurant style seating as well as an outdoor patio and traditional stadium seating. Come enjoy the Jim Beam Party Deck at NBT Bank Stadium! With a view unlike anthing you've seen before and the chance to feel like you're on the field. The Party Deck is available to rent for any occasion, with seating on and off the deck and a pavilion to serve a buffet.